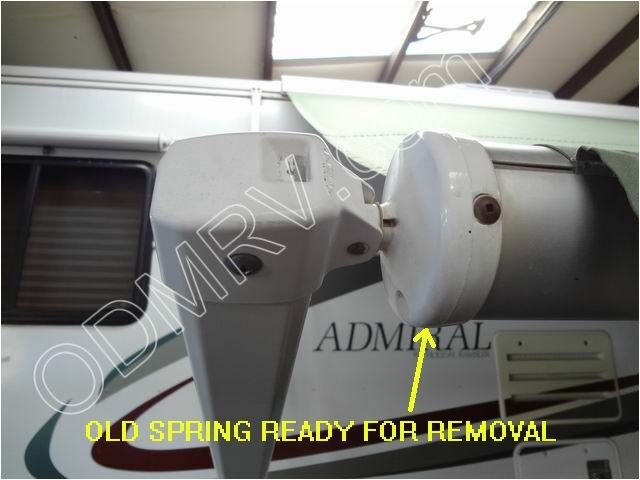 Carefree Rear Spring Assm Reg White 26-2082 [R00923WHT] - $124.95 : Out-of-Doors Mart!, More Airstream Parts on-line than anyone! 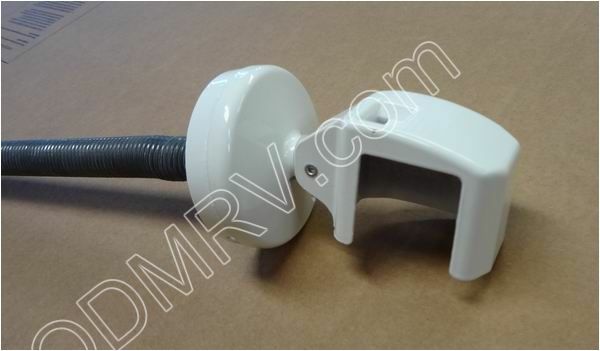 26-2082 old 26-2671 Carefree Rear Spring Assm Reg White. 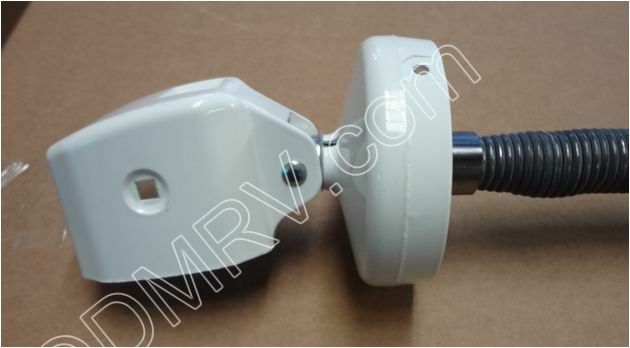 This is the rear spring for certain Carefree patio awnings. 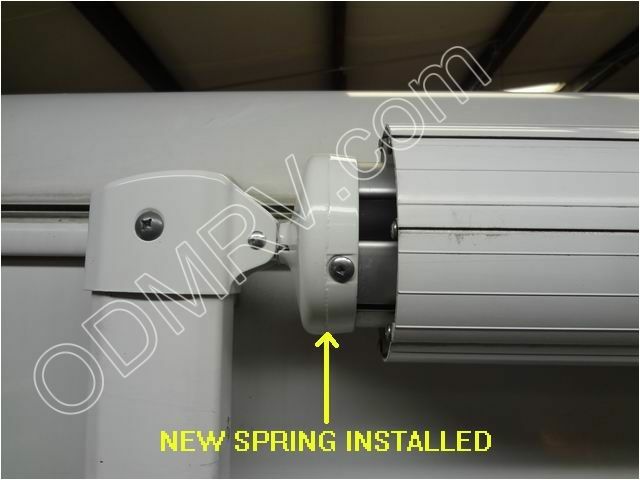 It fits Spirit, Fiesta, and Simplicity model patio awnings. See pictures below.